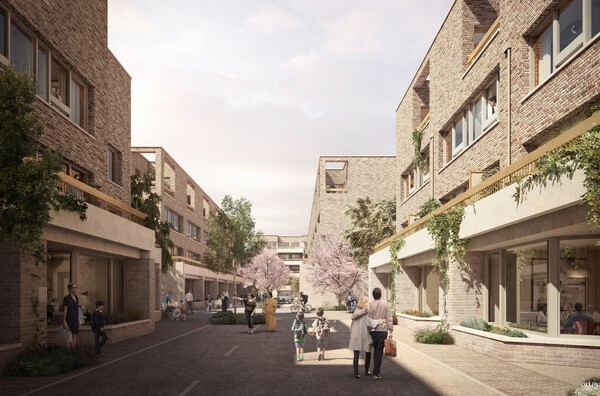 The largest housing estate in Barnet, North London, Grahame Park is undergoing a regeneration scheme to create a vibrant new community with major infrastructure improvements, improved transport links and community health facilities. Built in the 1970’s on the site of the World War Two Hendon airfield, the Grahame Park estate provides over 1700 dwellings. However, it is isolated from the surrounding environs, and it’s aging infrastructure is struggling to cope with the demands of the residents. 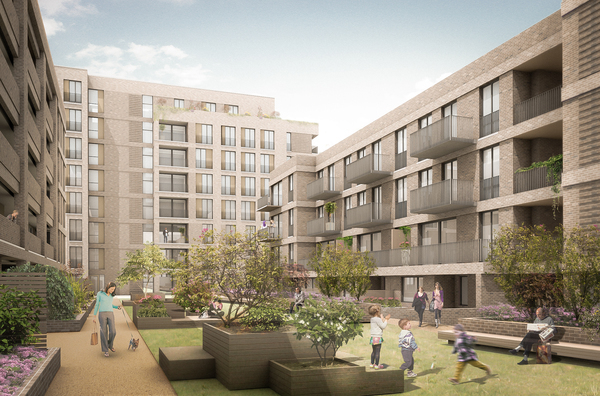 Genesis Housing, in partnership with the London Borough of Barnet, have begun a transformation project for the estate, to deliver 3,000 new homes in a new community structure, funded by the Homes and Communities Agency (HCA). As part of the TibbaldsCampbellReith Joint Venture, we were commissioned to deliver Stage B of the scheme, itself facilitated by a new Supplementary Planning Document to replace a historical, and undeliverable, outline planning permission. The current scheme involves construction of almost 800 new homes to be built on the existing site. We have been involved from the ground up, with work beginning on the initial ground investigations, and will continue through to full planning delivery and environmental approvals.